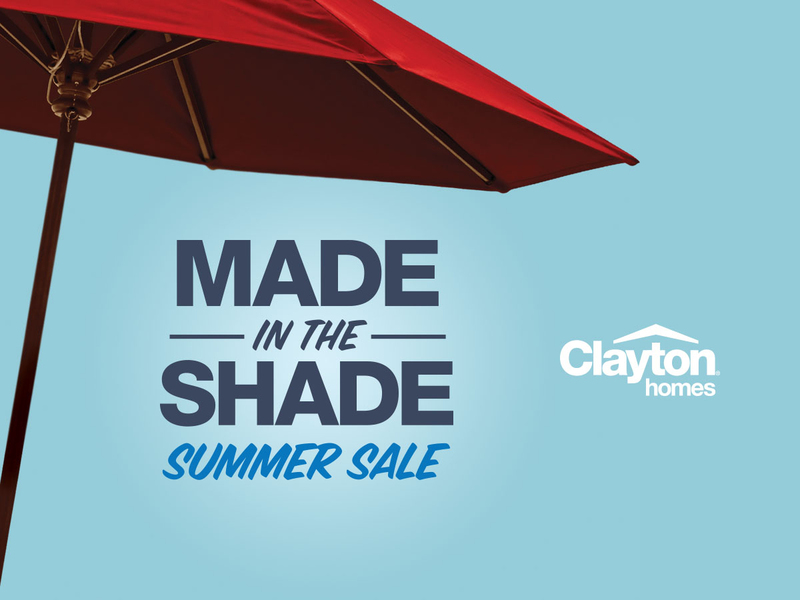 Clayton Homes, one of America’s largest homebuilders, is offering customers an unbelievable incentive in gift cards from Lowe’s* with the purchase of a new home through its Made in the Shade Summer Sale. 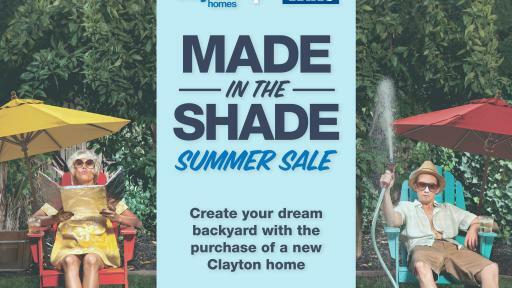 The offer, which runs through Aug. 31, is part of Clayton’s latest buyer encouragement program that rewards homebuyers with incentives based on the type of new home that is purchased. 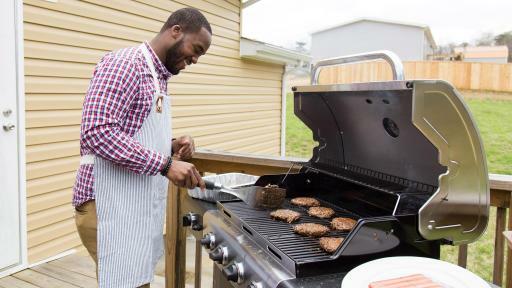 Homebuyers can choose one or a combination of three different incentive options that include a Lowe’s gift card. Clayton Homes offers many different affordable floorplans and designs for potential homebuyers to support their lifestyle needs. 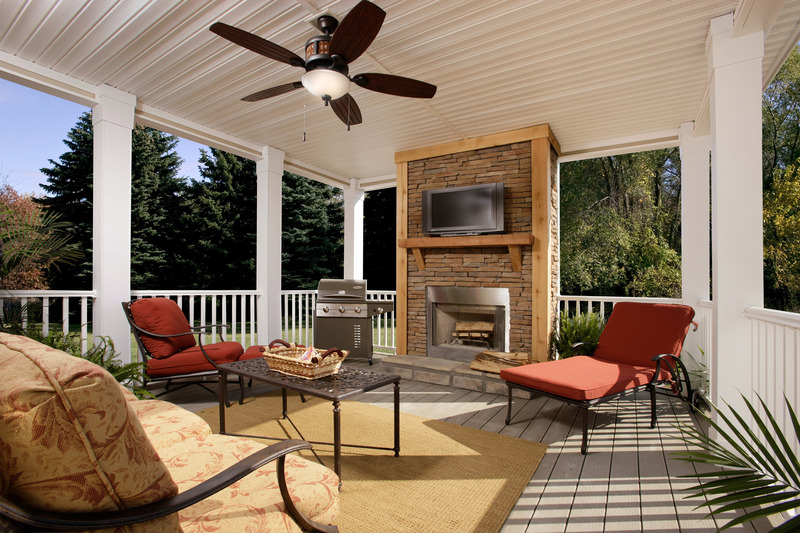 The national homebuilder also offers a variety of outdoor living spaces that include sunrooms, wrap-around porches and outdoor wet bars. 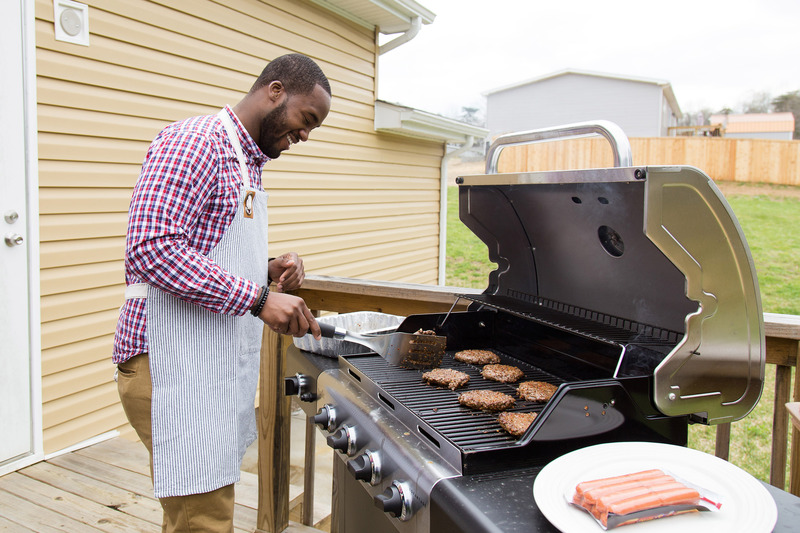 Once a homebuyer purchases a new home from a participating Clayton Homes location, they can use the Lowe’s gift card reward to create the backyard of their dreams. 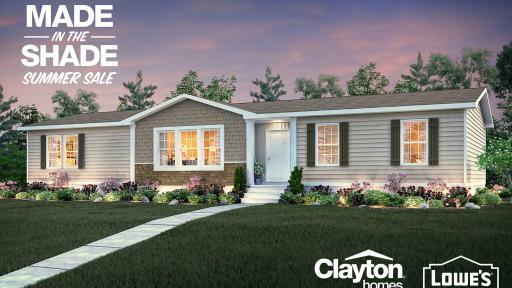 Customers can go to claytonhomes.com to view floorplans and locate their nearest Home Center. There they can view and walk through homes for sale. 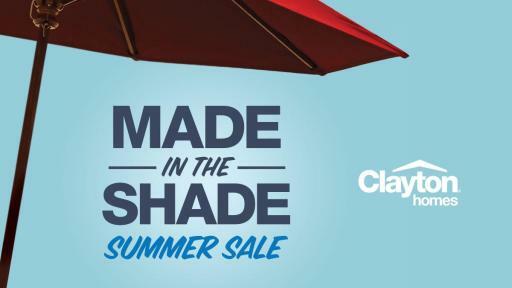 Terms and conditions for the Made in the Shade Summer Sale program are available at madeintheshadesale.com. *Complete Terms and conditions for the Made in the Shade Summer Sale are available at madeintehshadesale.com. 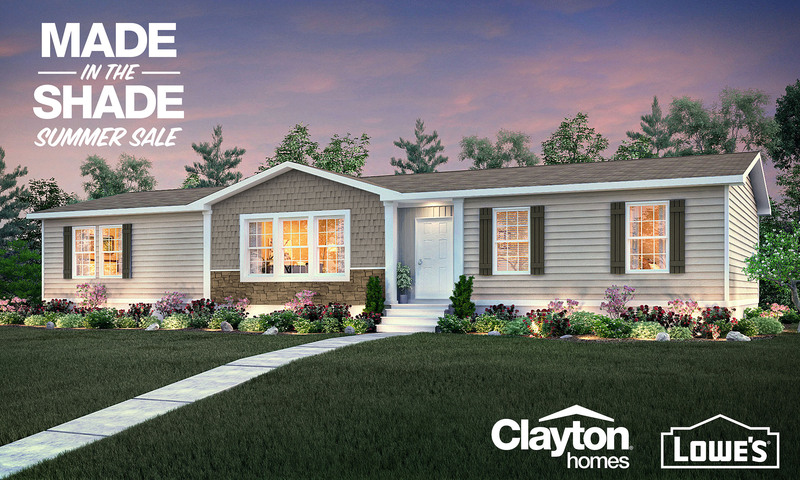 Available only at participating Clayton Homes retailers with new home purchase by 8/31/2016. Value of buyer incentive based on the number of home sections purchased. Not available with USDA/FHA/VA financing and subject to lender requirements that restrict the forms of buyer incentives the retailer may provide. 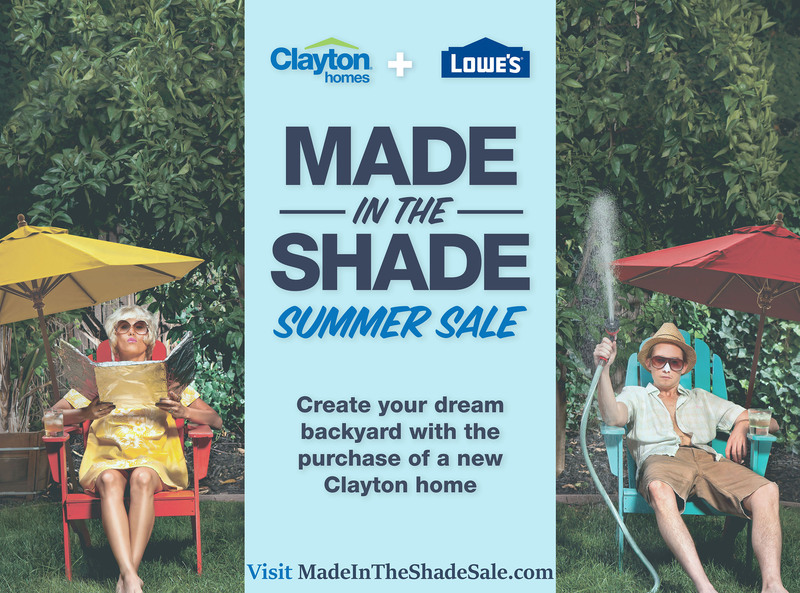 Clayton Homes is not affiliated with Lowe’s. 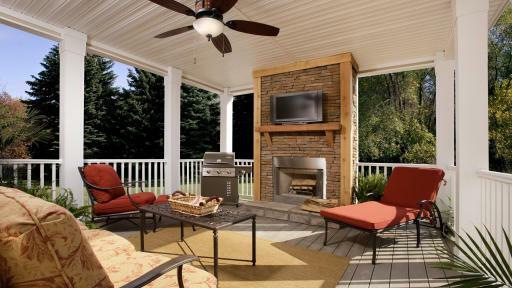 LOWE’S® and the GABLE MANSARD DESIGN are the registered trademarks and service marks of LF, LLC.